othing says high-tech, modern and cool like Chrome. This mod covers your entire case and controller in gleaming, shiny chrome. 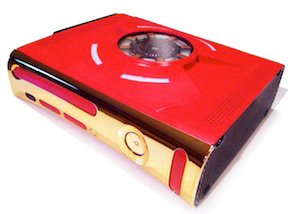 If a T-1000 was hiding in your home waiting to ambush John Connor, it would look exactly like this Xbox 360 case. The red-and-gold Iron Man mod looks like it could have been ripped right off of Tony Stark’s chest, including the iconic blue glow of the power source right in the middle. It’s the perfect mod to use while playing all your favorite Marvel-themed Xbox video games. 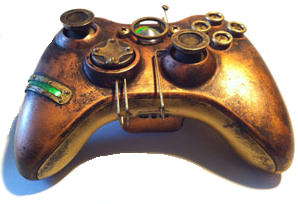 The Xbox 360 was made for Steampunk. This mod makes your Xbox look exactly as it would look if some mad scientist were able to make one in the industrial, pre-technological Victorian era. Speaking of which, for real geeks, there’s the Star Wars Mod. It perfectly evokes your two favorite droids, the console itself taking on the classic blue-and-white markings of R2D2, while the controller id the gleaming golden sheen of C3PO. Of course, no matter how cool you make your Xbox 360 look, sooner or later there’s a time when you have to put it out to pasture. Perhaps your Xbox 360 has finally worn out, or maybe you’ve got your eye on a new Xbox One. If you’re looking to sell a used Xbox 360 in Milwaukee and not just keep it as an art piece, Record Head is the place to go. We’re looking to buy all sorts of older console systems and games, and will give you great prices or trade-in value for your machine. Come on by to sell or trade your old machine today or pick up a quality used machine!